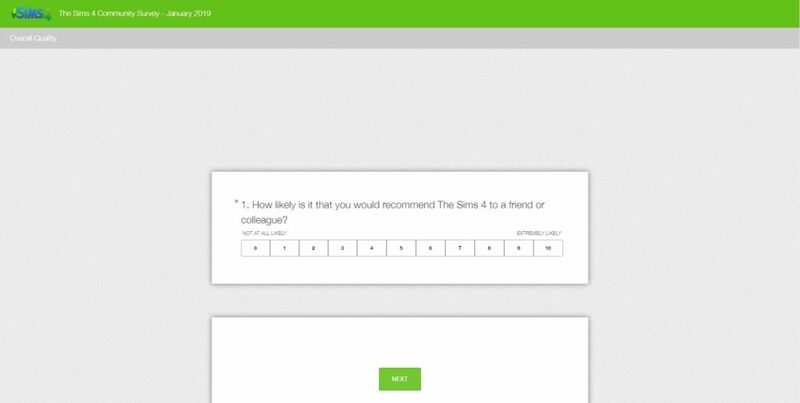 SimGuruKate has released another community survey for The Sims 4 which asks Simmers questions related to how they communicate and also if you would recommend The Sims 4 to friends or colleagues. She has also stated that they’ll be doing these types of survey every month and will take all of the results into consideration. Previous ArticleThe Sims Mobile: Llamanati Quest Is Arriving This Week!Next ArticleOrigin Weekly Sale: The Sims 4 Luxury Party Stuff Is 50% Off!